In this two-part blog series you’ll learn how to execute a partnership that’s more than just a giveaway. 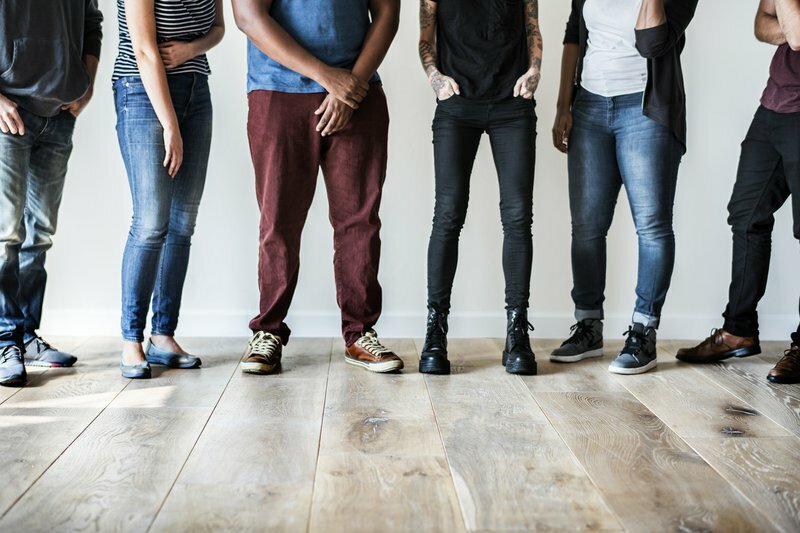 We covered 10 different types of partnership marketing in a previous blog series; in this one, we’ll provide you with a few actionable tactics so you can get started! We’ll cover the first three ‘how-tos’ in this post, and the last four in part two. Outdoor Yoga SF includes the KIND Snacks logo on the homepage of their website! 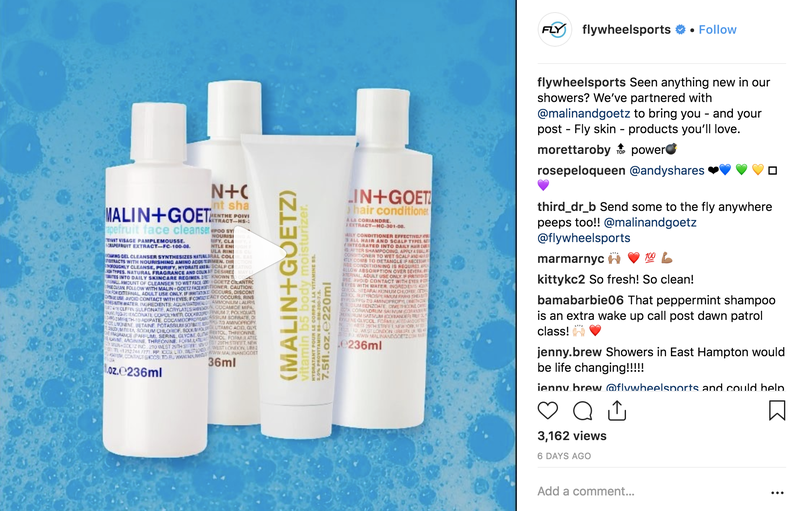 Flywheel Sports promotes MALIN+GOETZ via social media! Co-hosting an event is not only fun, it’s a great way to get both company’s audiences together in one room. It’s a pathway to expose your brand to another brand’s audience and gain rapport with your existing customers. A great example of a co-hosted event was the sweetgreen x Tartine Manufactory partnership in San Francisco in 2017. sweetgreen teamed up with Chef Elizabeth Prueitt of Tartine on a purple bowl inspired by her new cookbook, Tartine All Day. The sweetgreen x Tartine bowl featured purple carrots, beets and goat cheese tossed with a homemade apple cider vinaigrette. To celebrate the launch of this partnership, sweetgreen and Tartine co-hosted an event at the Manufactory itself. More than 300 people attended, some sweetgreen fans, some Tartine fans, and some-- a mix of both. It was a great promotional moment for both brands. Who doesn’t love a discount? 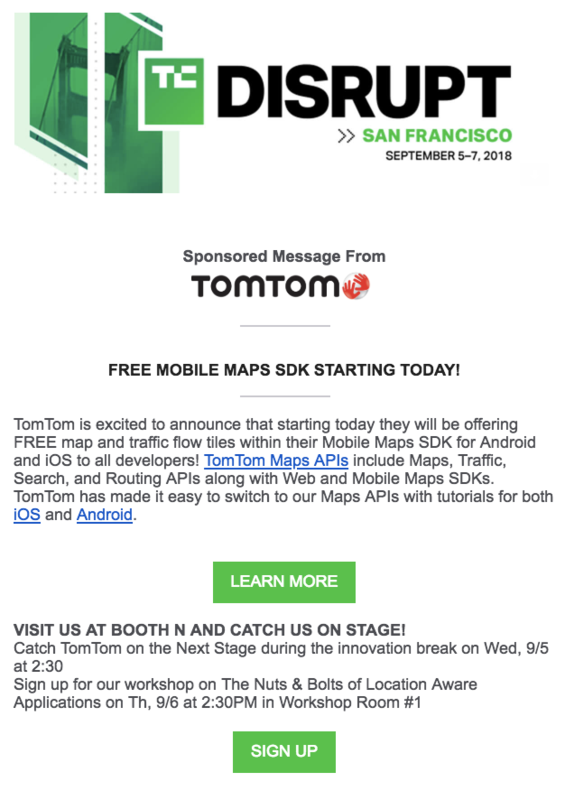 This is a great way to attract new and existing customers to both of your brands. You can do this in any way you’d like -- a percentage or dollar discount. 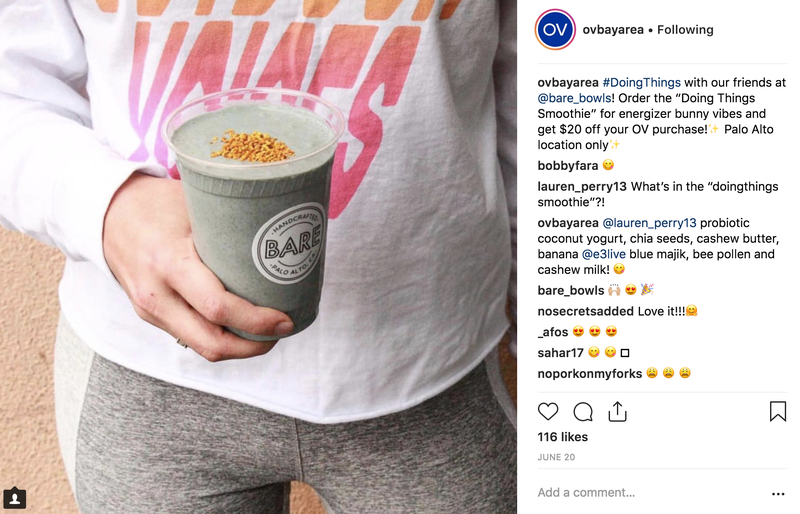 Outdoor Voices promotes Bare Bowls via social media (Instagram) -- and includes an in-store discount ($20 off -- how amazing is that?!). Stay tuned! In our next post, we will cover four more exciting and easy ways to partner besides just doing a giveaway.